Big data has become one of the most imperative technologies for collecting, handling and analysing enormous volumes of data in a high-performance environment. Enterprise healthcare organizations needs high compute power for the large volume of sensitive data, as well as large storage for storing both data and results, preferably in the cloud. However, security and privacy of patient data have become a critical issue that restricts many healthcare services from using cloud services to their optimal level. Therefore, this issue has limited healthcare organizations from migrating patient data to a cloud storage, because the cloud operators have chance to access sensitive data without the owner’s permission. 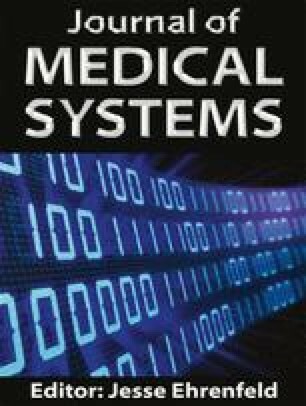 This paper proposes an intelligent security system called Intelligent Framework for Healthcare Data Security (IFHDS). IFHDS enables to secure and process large-scale data using column-based approach with less impact on the performance of data processing. The intelligent framework intends masking personal data and to encrypt sensitive data only. The proposed IFHDS splits sensitive data into multiple parts according to sensitivity level, where each part is stored separately over distributed cloud storage. Splitting data based on sensitivity level prevents cloud provider to break complete record of data if succeeds to decrypt part of data. The experimental results confirm that the proposed system secure the sensitive patient data with an acceptable computation time compared to recent security approaches. The original version of this article was revised: all algorithms in PDF are missing. A correction to this article is available online at https://doi.org/10.1007/s10916-019-1276-7. The authors declare that they have no of interest, there is no funding source, and this article does not contain any studies with human participants or animals performed by any of the authors. The authors whose names are listed conflict immediately below certify that they have NO affiliations with or involvement in any organization or entity with any financial interest (such as honoraria; educational grants; participation in speakers’ bureaus; membership, employment, consultancies, stock ownership, or other equity interest; and expert testimony or patent licensing arrangements), or non-financial interest (such as personal or professional relationships, affiliations, knowledge or beliefs) in the subject matter or materials discussed in this manuscript. Hospital Compare datasets, Centers for Medicare & Medicaid Services, https://data.medicare.gov/data/hospital-compare, 2018.